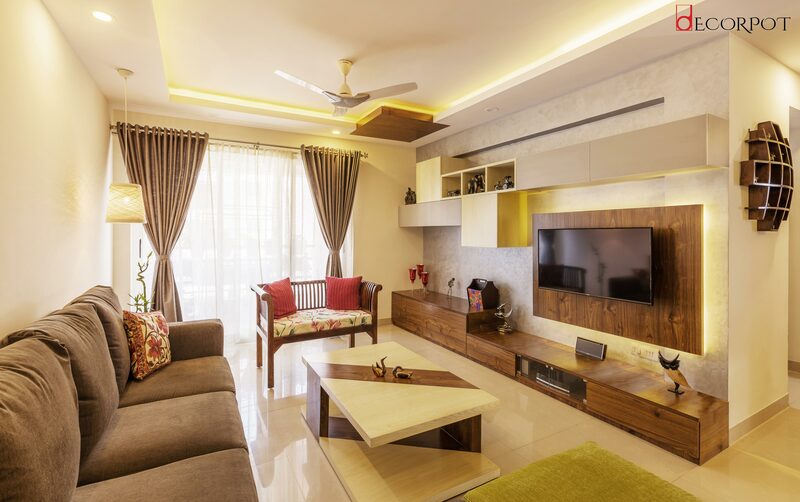 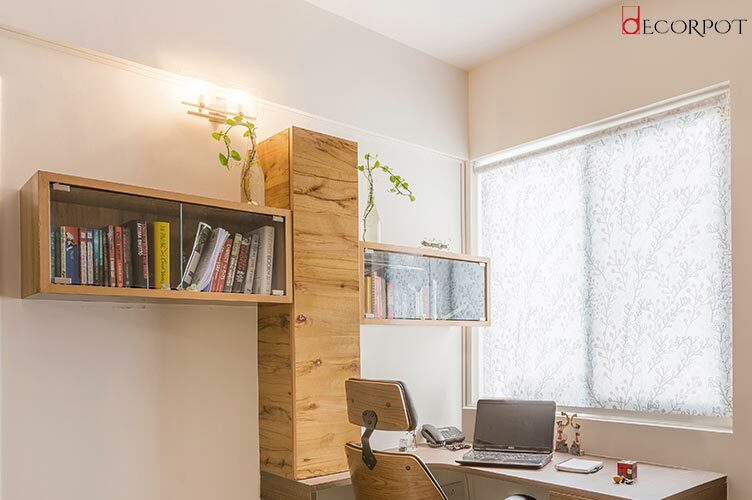 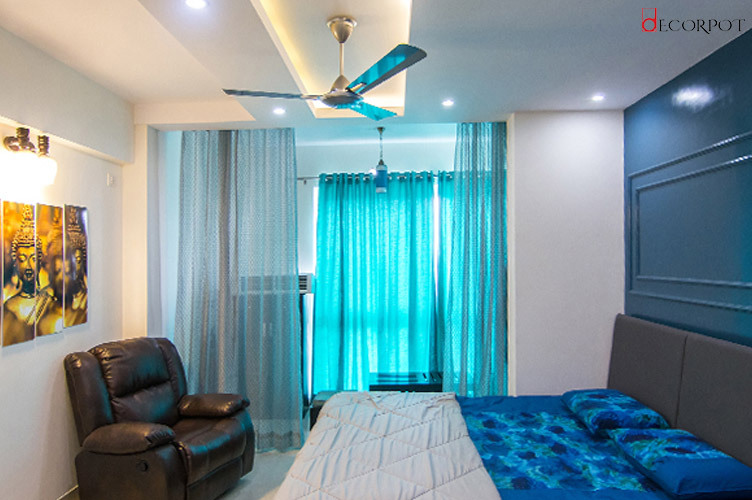 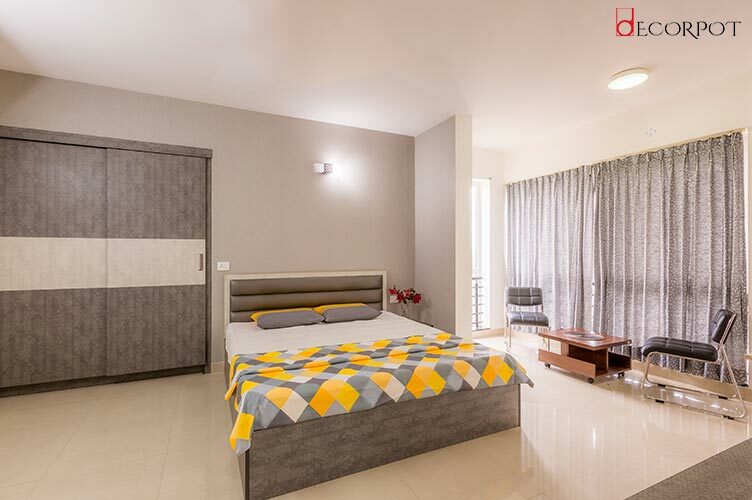 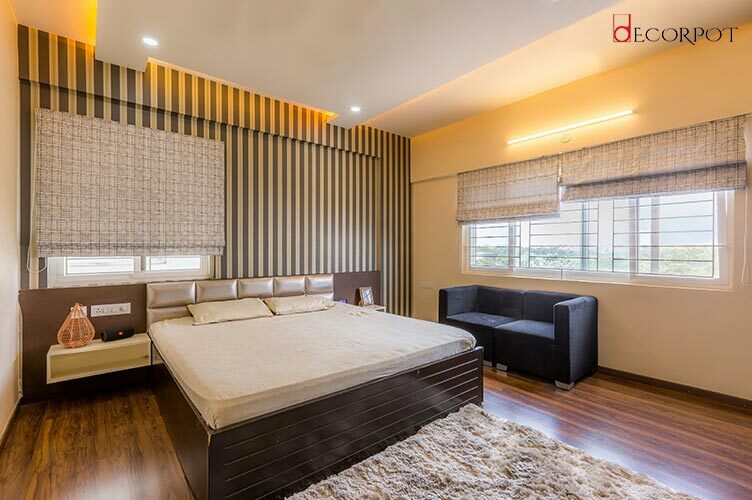 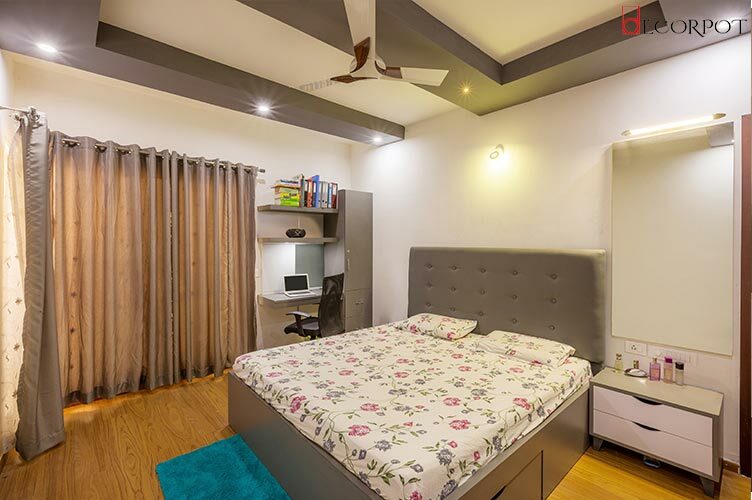 This lovely home owned by Mr. and Mrs. Nabajit Das renders a warm welcome to their visitors with tastefully customized furniture and wall décor. 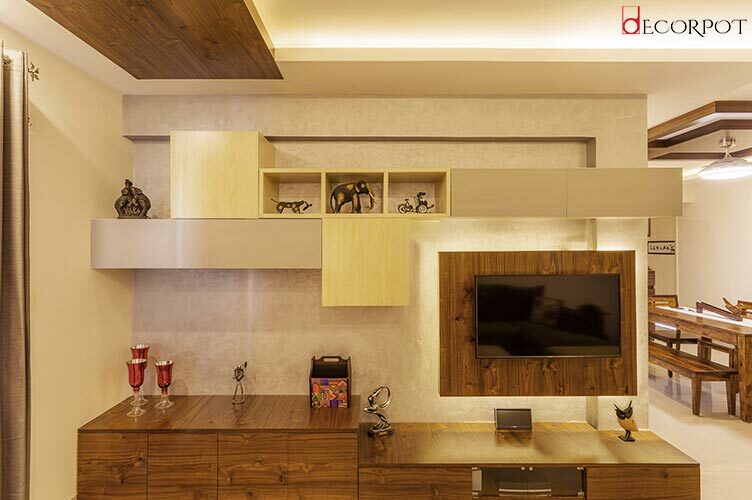 The TV unit is highlighted in the living area and it extends as a showcase and storage unit in an abstract composition of cabinets. 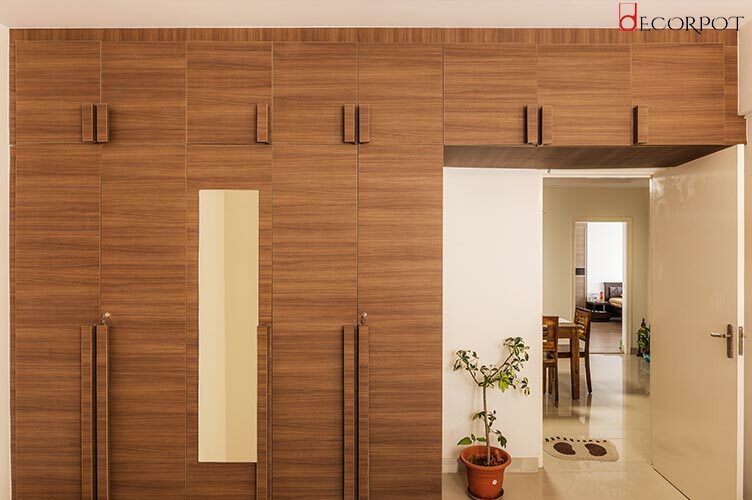 The hall is well lit with good provision of natural ventilation. 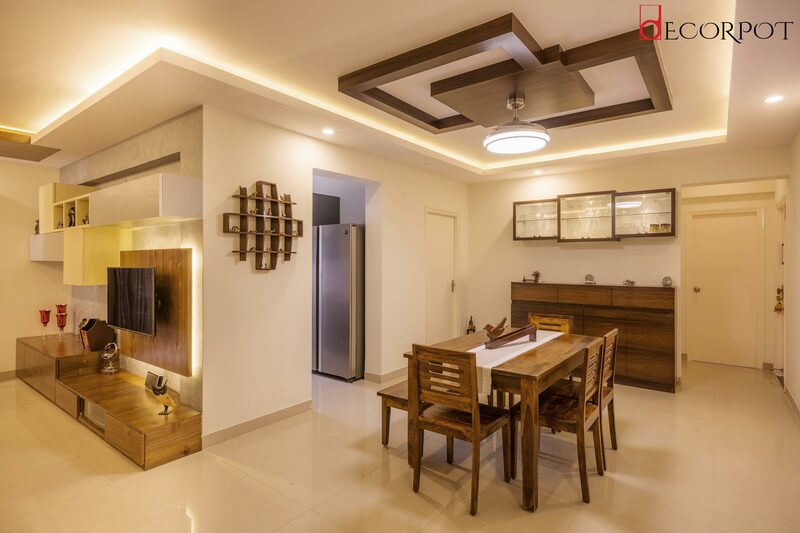 The cove lightings for ceiling in addition to suspended lighting adds benevolence to the interiors. 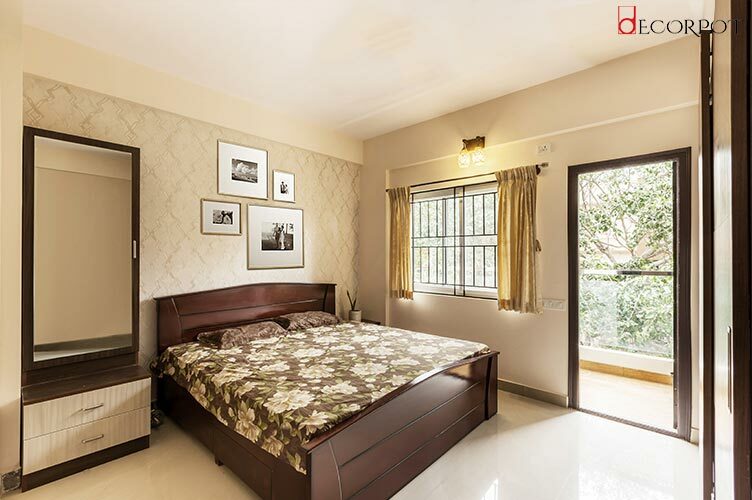 A bedrooms dictate serenity and simplicity. 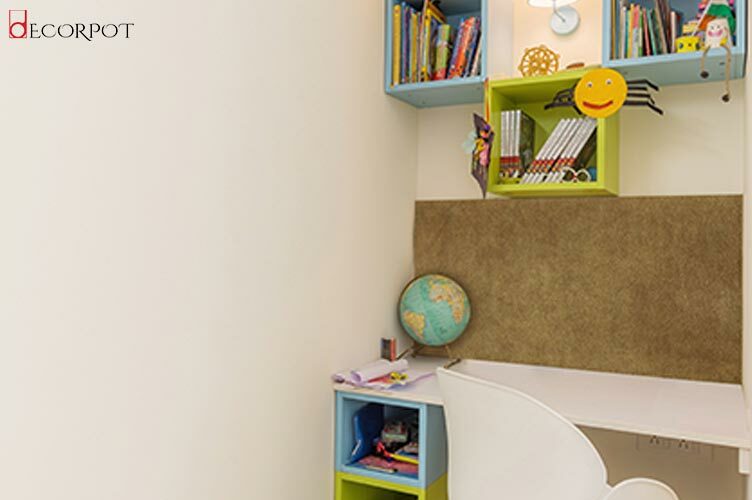 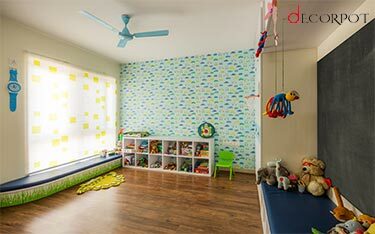 Kids’ room is designed to be cheerful with a black board to scribble down thoughts and open storage displaying toys and stationery.